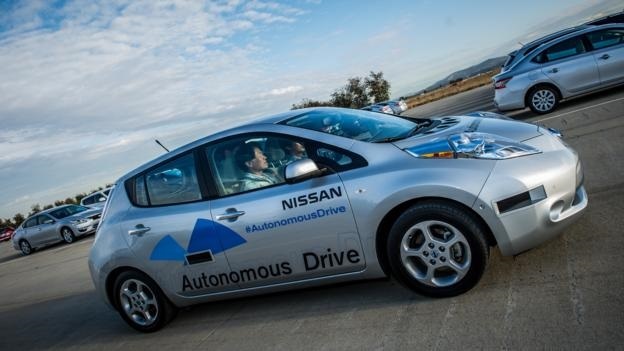 Self-driving autonomous vehicles- Driverless cars are here! Popularly known as self-driving vehicles, these are autonomous vehicles that are capable of fulfilling basic functions, like transportation just as a traditional car does. 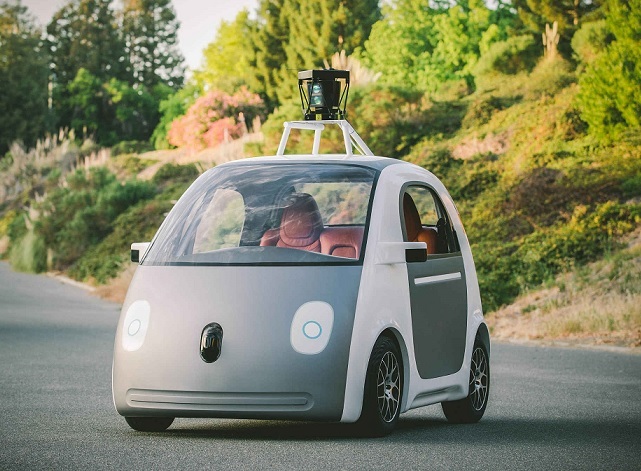 Autonomous cars act alone and performing transportation activities independently. They have the capacity to sense their environments, and then navigate to destinations without human control. However, most of them have not been developed fully and allowed to operate as functional vehicles in most countries. They only exist as prototypes. However some of this technology is already in vehicles such as the Tesla Model S that can change lanes automatically, also VW have developed automatic parking. Notable experiments are dated back in the 1920’s, while some few promising prototypes were seen in the 1950’s. 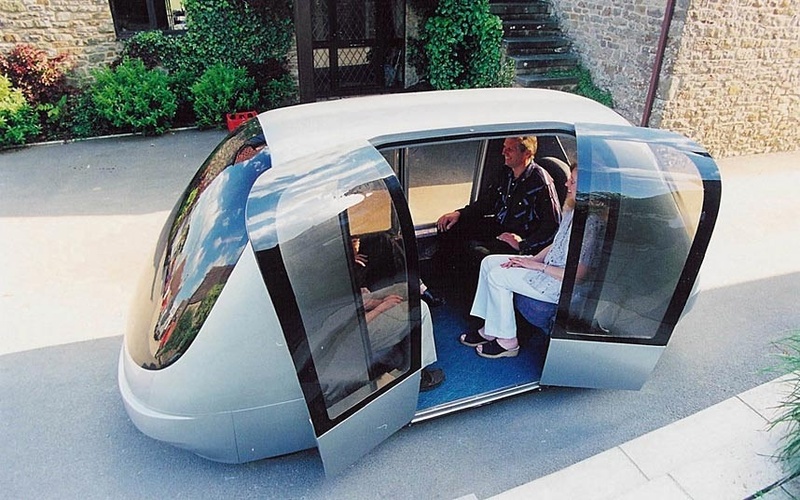 However, a self-sufficient autonomous vehicle appeared in Germany in 1987. It was done on a Mercedes Benz, under EUREKA Prometheus Project, sponsored by Bundeswehr University. Since then, major car manufacturers such as Audi, Peugeot, Volvo and Nissan have tried their hands in the development of this type of vehicle. A notable demonstration on the navigation of an autonomous vehicle happened on a heavy traffic road, open to the public in 2013 by Vislab. Since then, many states in the United States of America, such as California, Florida, Nevada and Michigan have passed laws on the use of autonomous cars. 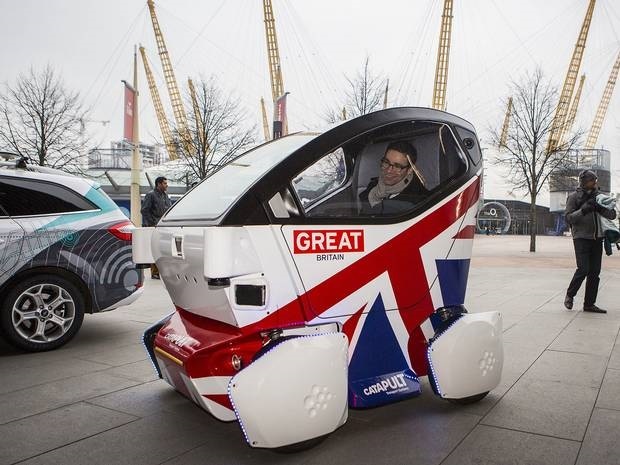 Recently, other countries such as Australia, Britain, Germany and Sweden have joined countries all over the world allowing the testing and use of this type of vehicles on their public traffic routes. This car has mainly been developed to function automatically without any human effort. Old technology used artificial hints, such as magnetic strips that were used to keep the vehicle on track. However more modern technology uses a combination of GPS, motion and light sensors. By being autonomous, the vehicle is able to perform properly for a reliable period of time in its environment, with an ability to correct itself or maintain its performance without the need for any human intervention. The external sensors are referred to sometimes as a remote sensor organ, almost giving the vehicle robotic functionality. A LIDAR turret on a vehicle can be used to map the vehicles surroundings by capturing the virtual image of the world around the car. This technology uses infrared beams, traveling at a very high speed. To identify obstructions surrounding the vehicle, a machine vision algorithm quickly computes a three dimensional map of anything surrounding the car. 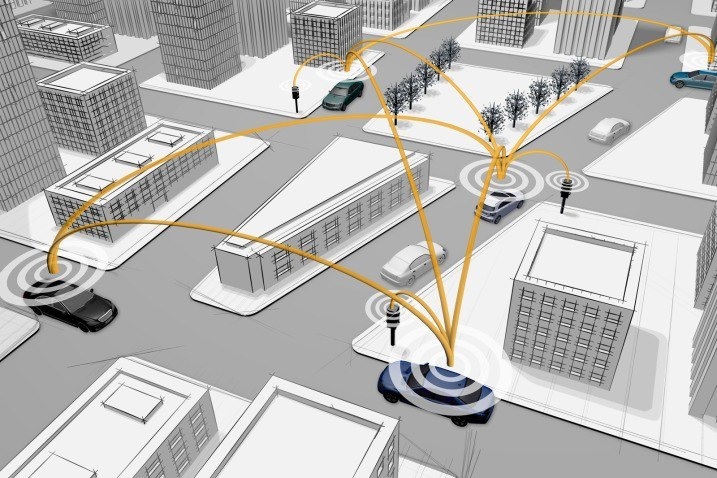 To trace signals, such as traffic lights, vehicle indicators, cyclist’s and pedestrians information, autonomous vehicles are fitted with additional cameras that perform this detection function. To help with navigation, in different geographical settings, a GPRS device is installed in the car. The GPRS also assists in getting a given accuracy of the vehicles actual positioning, limited to a number of centimeters. An autonomous vehicle cannot function without software in it. The software installed is used in fusing data with its sources, making the vehicle to come up with intelligent driving solutions. 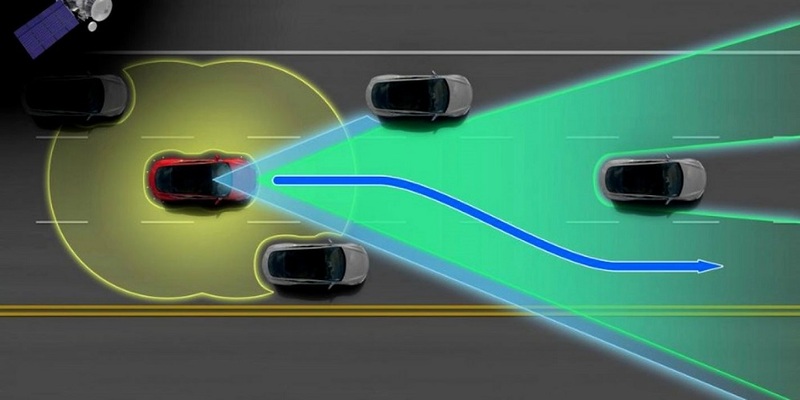 A good example of this software application is when the vehicle is switching from lane to lane on a busy traffic route; this is already available in some vehicles such as the Tesla Model S lane change assist. Both Google has also got Google Autonomous Vehicle technology software being developed, and it is also speculated that the Apple iCar will feature this technology. Most driverless vehicle technologies are being developed and integrated into electric cars, as the two developments fit hand in hand. Electric cars, being digital are far easier for computer software and algorithms to control. Future EV’s may be automatic, and it is speculated that inner city taxis can be driverless in the future, making them far cheaper and cleaner to run. Increase Safety On Roads - Many countries in the world post increases in deaths resulting from road traffic accidents. This can be due to a number of factors such as a lack of concentration in traffic and human error, such as misjudging overtaking distance. Driverless vehicles will increase levels of accuracy and efficiency making transportation safer that it is currently in the world. Lessen Traffic Congestion- Many economies around the world have experienced growth in the transport sector, contributed by increased population and private vehicle ownership. This has caused an increase in traffic jams around cities, leading to air pollution through fumes released as exhaust gases. Driverless cars travel in convoys, little distance apart eliminating incidences of pointless hold ups, both at peak and off peak hours. Reduction In Cost- Generally, maintaining a vehicle, for either private or public use, is expensive. Costs such as initial purchasing capital, insurance and maintenance is expenses. With driverless cars however, there will be sharing schemes, leasing options and smart taxi companies with highly productive vehicles. Also general wear and tear should reduce, as the vehicles drive far more efficiently. For example less unnecessary breaking will cause brake pads to last far longer. Increased Jobs- Driverless cars will create jobs, such as, software developers, maintenance technicians and hi-tech infrastructure builders. Google, for example, has pioneered the use of autonomous vehicles, test driving its huge fleet of this type of cars for over one million kilometers. They have reported no serious incidences, with their city driving prototypes that do not use any brakes or steering wheel. However, experts have come up with a number of views on how the vehicle could be used to help its human payload have a relaxing journey. To begin with, the designers of driverless vehicles must decide to what extend are the users of this vehicle safe. Their decisions must take into account, the government’s regulations and laws governing driverless cars. And before they are fully legalized on our roads, manufacturers will need to prove to the transport department how they have reduced incidences of accidents and crashes of autonomous vehicles. In addition to this, there are cyber security measures that countries using this type of technology must abide to. In the world today, there is a rise in cases of cybercrime which have violated privacy of individuals and governments. This is very important as any corruptions to the autonomous software of GPRS networks could cause accident. Countries wishing to adopt this technology should optimise their traffic routes. This will consequently optimise infrastructure, resulting to less traffic jams and minimal travel time. There will be a need for massive rewriting of traffic laws all over the world. Although driving around cities and towns is a cumbersome activity, it is also the most regular thing done all over the world. Traffic laws and insurance regulations will need massive retooling, to handle cases of computer liability for example in accidents. However, most countries are stalling in making these rules to avoid restraints that will be unnecessary in the ongoing development and production of driverless cars.